Professor John Fitzgerald is Truby and Florence Williams Charitable Trust Chair in Social Investment and Philanthropy and Director of the Asia-Pacific Program for Social Investment and Philanthropy in the Centre for Social Impact at Swinburne University of Technology. 2008-2012 China Representative of The Ford Foundation in Beijing. 2007 Head of the School of Social Sciences at La Trobe University. 2005-06 Director of International Centre of Excellence in Asia-Pacific Studies at the ANU. Also Chair of the Education Committee of the Australia-China Council of the Australian Department of Foreign Affairs and Trade, member of the Committee for National and International Cooperation of the Australian Research Council (ARC) and co-chair of the ARC Linkage Infrastructure and Equipment Fund. 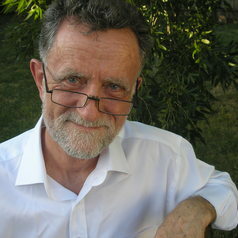 Books include 'Big White Lie: Chinese Australians in White Australia' (UNSW 2007), short listed for the Prime Minister’s History Prize in 2008 and awarded the Ernest Scott Prize by the Australian Historical Association, and 'Awakening China', awarded the Joseph Levenson Prize of the American Association for Asian Studies. Ph.D. from ANU, Fulbright postdoctoral fellowship at the University of Wisconsin-Madison, BA University of Sydney.